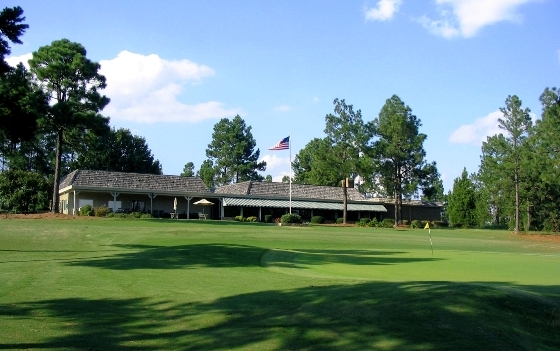 The Seven Lakes Country Club is a member owned facility located in West End, North Carolina a mere ten minutes outside of the Village of Pinehurst. Founded in 1976, this Peter Tufts III design is set on a lake-filled hilly terrain with a routing that winds up and down through stands of tall longleaf pines with the odd dogwood and magnolia thrown in for good measure. Great-grandson to the founder of the Village of Pinehurst and godson to Donald Ross, Tufts III has the Sandhills area and golf design in his blood. He crafted a course which promotes creative shot making and rewards the player who can manage distance and flight control. 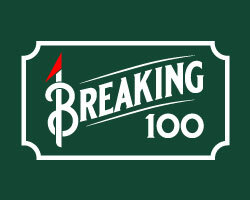 With six sets of tee ranging from 4098 to 6869 yards the novice golfer can find success while the single digit handicapper will experience a thought provoking challenge. Access: Private with guest access through Stay & Play packages. A perfect example of Tufts' shot making demands can be found early in the round on the stretch of holes 3,4 and 5. The third hole is a dogleg right that cants to the right in the driving area then flows down to the green. A controlled drive must find the left side of the fairway to open up an angle to the green for the approach shot. A drive coming to rest right of centre risk having their sight-line to the green blocked by a stand of large trees that call the inside of the dogleg home. 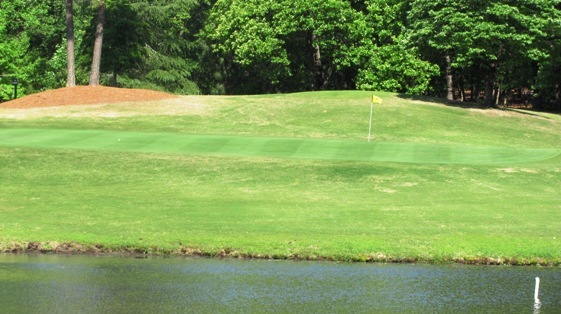 Hole number four is a gentle dogleg right par 4 where a 3 wood or utility may be the club of choice off the tee. Two fairway bunkers protect the left side while a large fronting pond pinches the fairway at the 100 yard mark. 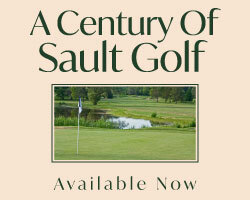 The thoughtful player will lie back shy of the pond leaving a 110 to 120 yards wedge shot over the water to the putting surface which is a two tiered affair that slopes sharply back to front. There is not much margin for error anywhere on this hole. The fifth is an uphill medium length par 3 where a mid iron will likely be the club of choice. The elevation combined with a facing prevailing wind can wreak havoc with a ball struck too high. Club selection and flight control are paramount while pin placement on this false fronted two tiered green complex also needs to be taken into consideration. This stretch of holes sets the tone for the day where brains over brawn will stand a better chance of conquering par. 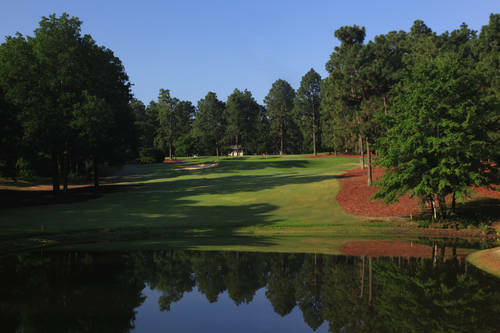 Although Seven Lakes will not wear you down with its length you need to keep your wits about you for a miscalculation or wayward shot here and there may prove disastrous to the scorecard. Mistakes here will likely have you reaching for a ball scoop.